James Strachey was the younger brother of Lytton Strachey and one of the first people in England to train in and practise psychoanalysis. He translated Freud’s work, and as a member of the Bloomsbury Group was instrumental in promoting it via publications with the Hogarth Press. The Letters of James and Alix Strachey is a record of the almost daily correspondence he exchanged with his wife Alix whilst she was being psychoanalysed as part of her training by Karl Abraham in Berlin. It’s an interesting one-year slice of two lives which encompasses social and cultural life in Germany and the UK in the early 1920s, the foundations of Freudianism in the UK, and a rich tapestry of European modernism from two of its inside practitioners who were very keen to be au fait with the latest cultural and intellectual developments. 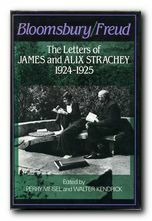 The letters are prefaced by an introductory essay which places psychoanalysis in a historical context and explains James and Alix Strachey’s position in the Bloomsbury group – into which they both fitted well, both in terms of their unorthodox sexual proclivities and their intellectual achievements. Adrian [Stephen] is said now to be in the most awful condition & threatens to shoot himself. 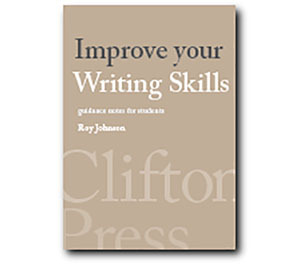 Karin will remain until he gets through his final exam… If he shoots himself in our sitting-room it’ll not only spoil the carpet but also damage our professional careers—so I suppose I shall have to avert it. —Loppy & Maynard are still said to be on the point of marriage. The divorce is expected to be consummated in October. Alongside translating Freud, he reports on visits to the Ballet Russe, meetings with Gerald Brenan, Arthur Whaley, John Maynard Keynes and Lydia Lopokova, Dora Carrington, Lou Andreas-Salome, David Garnett, and his brother Lytton Strachey. Alix reports to him from deep within the psychoanalytic pressure cooker which was Berlin in the 1920s, providing interesting details on all the rival camps and splits which went on between Freud, Adler, Jung, Rank, and Reich. From a scientific point of view it’s interesting to note that both of them, whilst eagerly pioneering psychoanalysis as practitioners, freely admit to each other that they don’t understand it all, and they see much quackery in their now-famous contemporaries. Within a few years of her being there, the whole of the psychoanalytic movement had broken up in Germany, harassed by the rising Nationalists, and had dispersed to America and the UK. James and Alix continued to work as practising analysts, translating major works, and taking a major role in promoting The Standard Edition of Freud’s works. This volume concludes with a fascinating account this long and complex process – as well as addressing the criticisms of hasty and flawed translations which continue to surround the works. This volume provides both an interesting insight into a corner of Bloomsbury which is not so welll known, and at the same time a fascinating glimpse into European culture at what turned out to be a critical period.